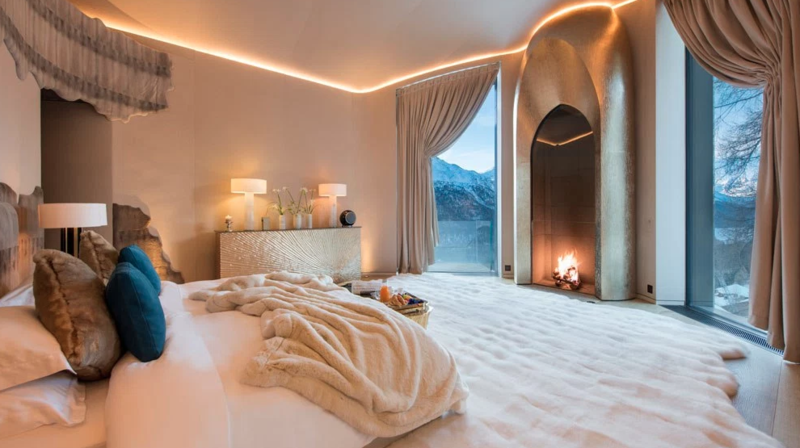 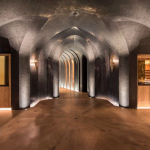 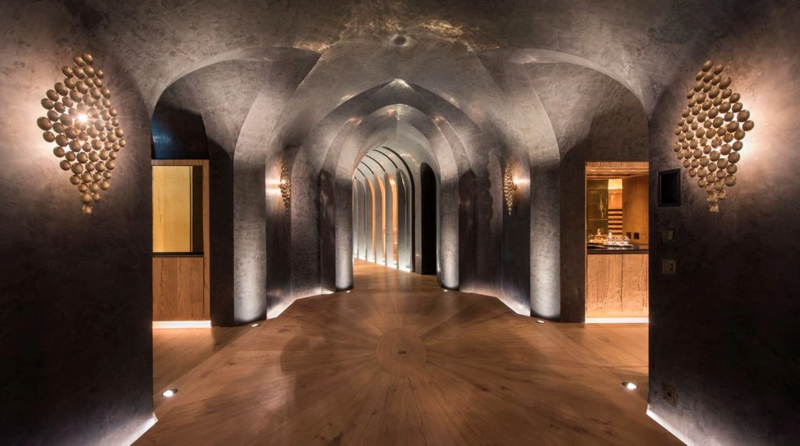 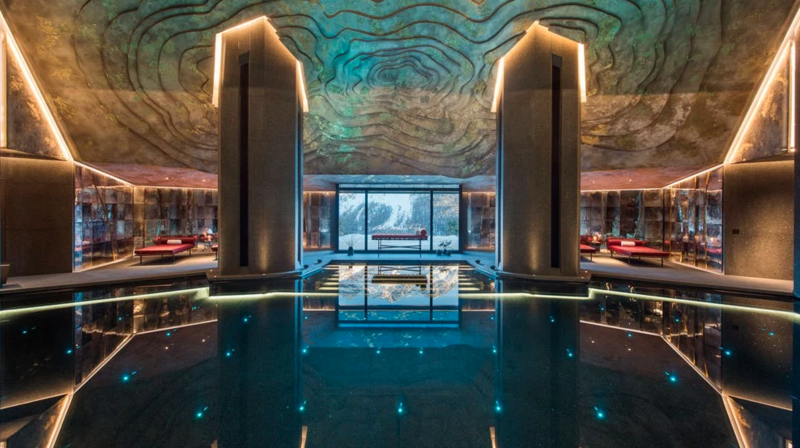 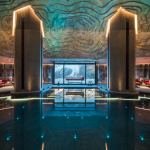 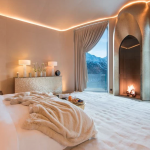 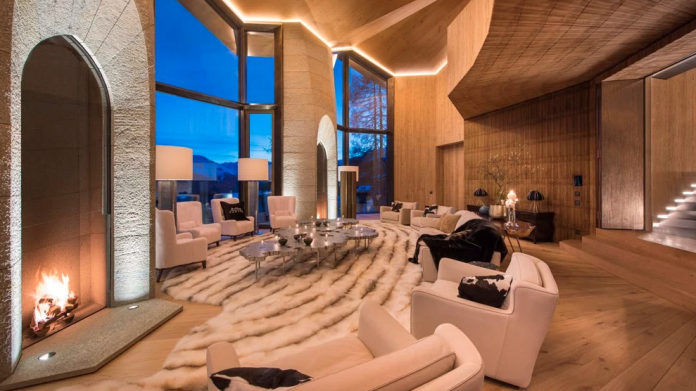 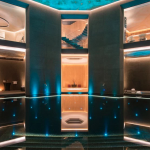 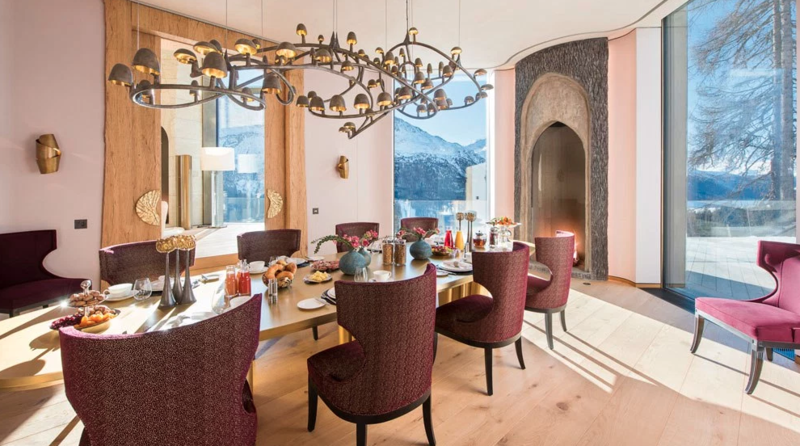 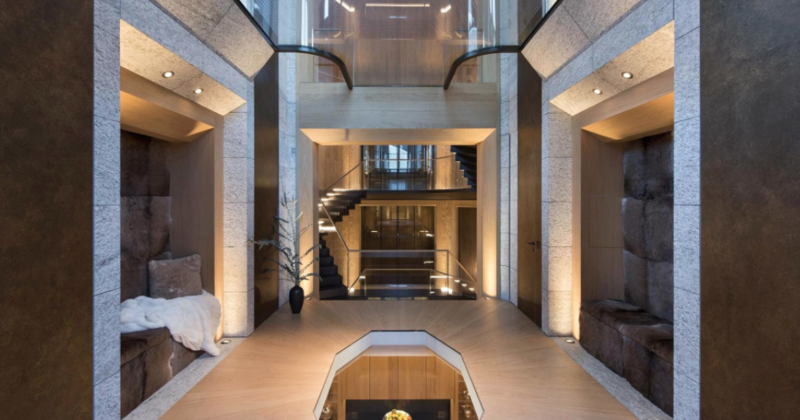 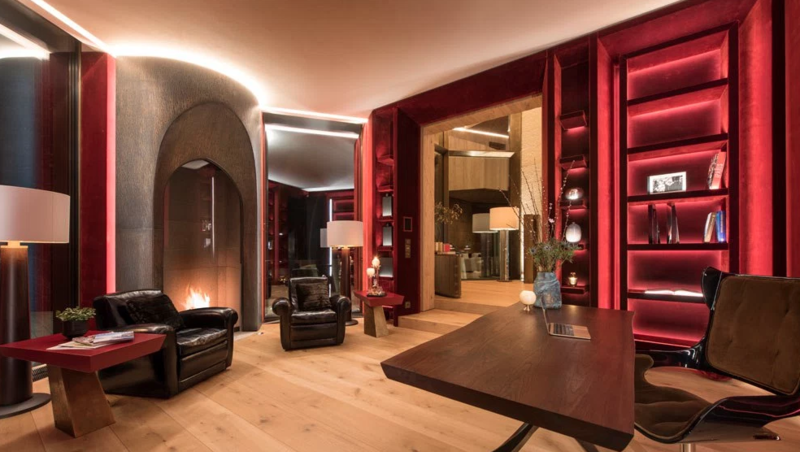 This incredible home is located in St. Moritz, a luxury alpine resort town in Switzerland’s Engadin valley. 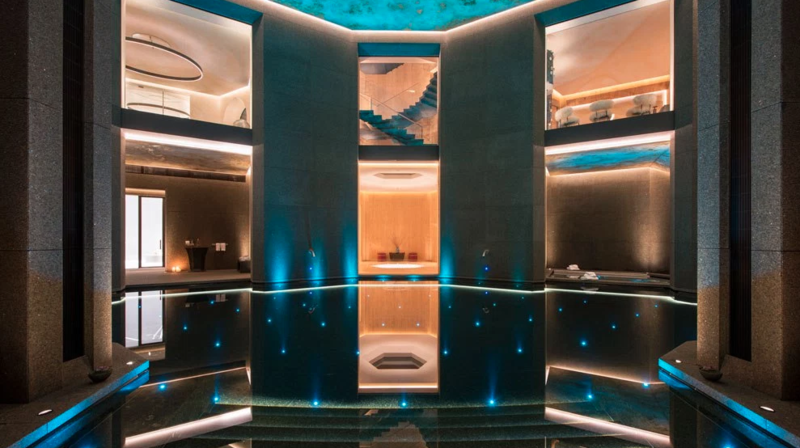 It features approximately 43,000 square feet of living space on 7 levels (most are underground) with 6 bedrooms, 6+ bathrooms, amazing central foyer with floating staircase, elevator, 2-story great room, formal dining room, gourmet kitchen, breakfast room, home office with secret room, separate guest quarters with its own great room, $1.3 million home theater, wine cellar, ski room, hamman, ice chamber, 2-story indoor swimming pool with spa, subterranean garage and more. 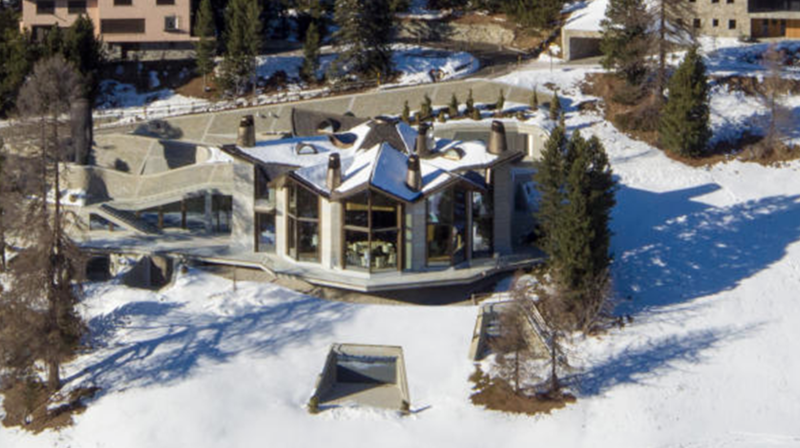 Outdoor features include a large terrace. 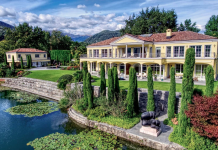 It is listed at $185,000,000.